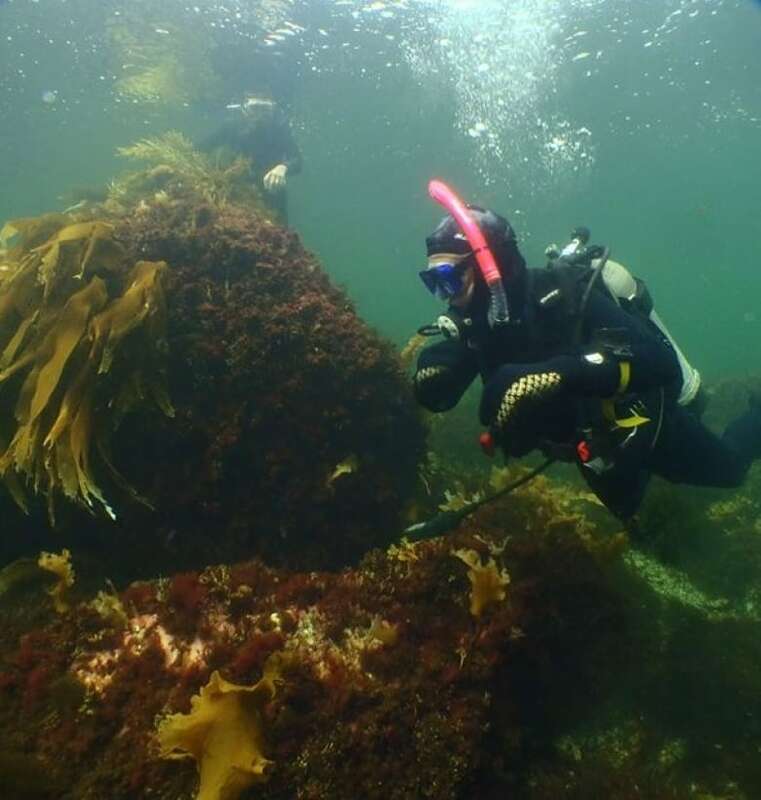 There are two kinds of scuba divers in Nova Scotia, David Pate writes. Those who went diving with Jane Biggs and those who wished they had. There are two kinds of scuba divers in Nova Scotia. Those who went diving with Jane Biggs and those who wished they had. Sadly, those who did not no longer have the opportunity. Jane died this week at the age of 84. I was one of the lucky ones. I went diving with Jane several times over the past decade. When I first met her, she was already a legend. She told me that her goal was to log the same number of dives as her birth year: 1934. Her daughter, Kitty Myrer, told me this week that Jane had beaten her target and logged more than 2,000 dives. One of the last was on Australia's Great Barrier Reef when she was 81. It was a spectacular and appropriate end to a diving career that began in the early 1970s. "When people came into town and someone was looking to do a dive, they called my mother and she happily took them out," her daughter said. Jane was an adventurer. Life for her was something to be seized, experienced and enjoyed. Her great Canadian adventure began in 1956 when she and her husband Len decided to leave behind a bleak post-war England and move to Canada, eventually settling in Dartmouth. She had always loved the ocean so when she heard about a scuba class, she jumped at the opportunity. Back then, scuba gear was very basic, the sport was seen as extreme and female divers were a rarity. Jane became — and remains — a role model for women in the sport. Kitty Myrer isn't surprised at that. Her mother, she says, was an amazing woman. "She went to a brand new land, and raised five children while my dad was in the navy, on her own. Imagine kids doing that nowadays. And still managed to find the time to do her scuba diving." She was still using some of the same dive gear that she started out with when I began diving with her. By that stage it was ancient, frayed and looked to be of extremely dubious reliability. But she wouldn't dive with anything else. It was only when one vital piece of equipment finally gave up the ghost that she was forced to buy a modern replacement. She never stopped complaining about how it wasn't nearly as good. By that stage, Jane was almost 80 and finding it harder to get into the water. The weight of her gear was too great for her to carry. But she didn't stop diving. She just made sure that she went out with dive buddies who could help carry her lead weights and tank down to the water where she could strap them on. As soon as she was underwater, she was gone. "She was like a fish," said Kitty Myrer. "She loved the ocean, she loved to swim." I can attest to that. You may have gone diving with Jane but she didn't necessarily go diving with you: she had her own mission to pursue. You followed along, or you got left behind. "None of the older divers wanted to dive with her as she was too hard to keep up with! It was an effort every dive to keep up with this wonderful lady. I always got a kick out of Jane, she would look after me in the rough and tumble crew of divers, but would be the first to crack open a cold beer after a dive and have one with the boys." Even when she was no longer able to dive, Jane couldn't stay out of the ocean. She passed on her love of diving to her granddaughter, Cynthia Myrer, who learned to dive while studying in Australia. "Unfortunately once I got back from Australia she decided it was time to hang up the towel, however she did join me on my first two dives in Nova Scotia as a snorkeller," she said. And Jane kept going out on her bike and in her kayak after going underwater was no longer possible. Two years ago, she was still able to lift her kayak onto her car and drive to the ocean. News of Jane's death spread quickly on social media. 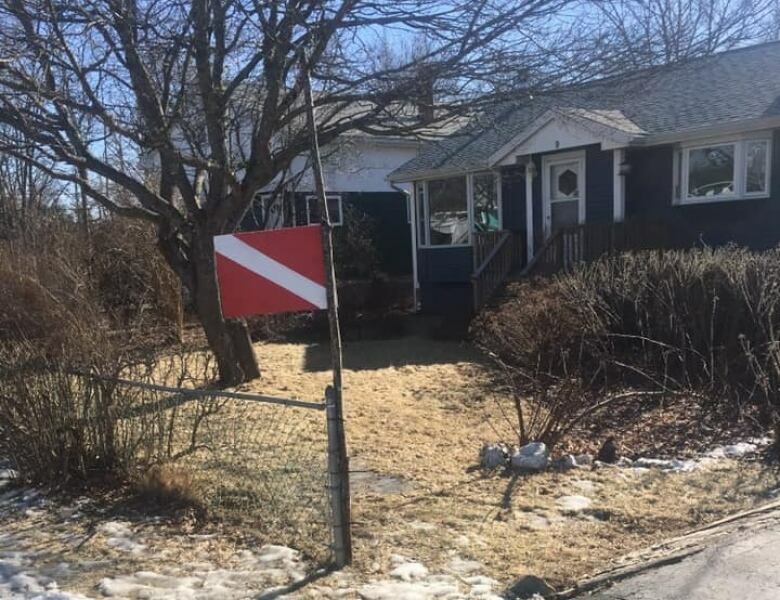 Her family marked her passing by flying the distinctive red and white "diver below" flag at half mast outside her home. The sense of loss among Nova Scotia's diving community was palpable. 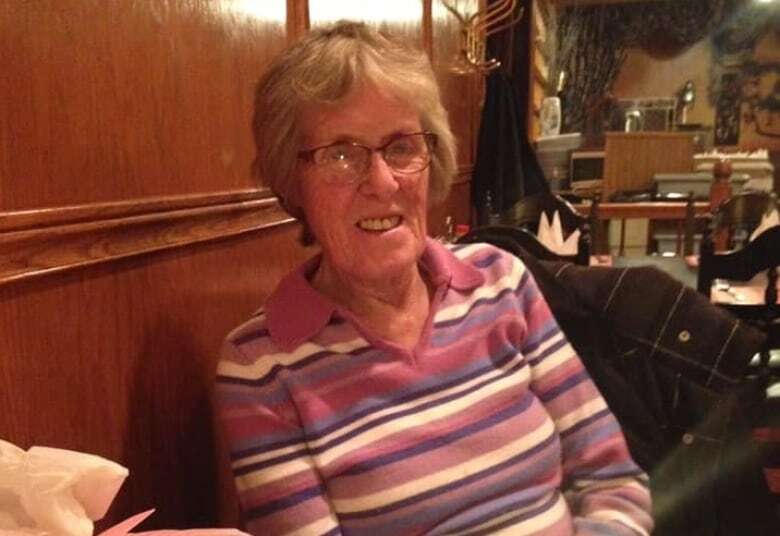 Divers recalled her sense of humour, her kindness, her marvellous stories and her no-nonsense attitude. Woe betide the unfortunate scuba shop employee who did not fill her tank to her exact specification. Jane's larger-than-life personality meant that people who had never met her, felt like they knew her. "I had heard about Jane long before I met her and when I finally did, It felt like I had known her forever," said diver Jeff Harding. That kind of loyalty and admiration comes as no surprise to her family. "She's a legend," said Kitty Myrer. "She's a true inspiration to an awful lot of us. She's a hero, as far as I'm concerned. Who do you even compare her to?" A celebration of Jane Biggs's life is planned for the end of this month. 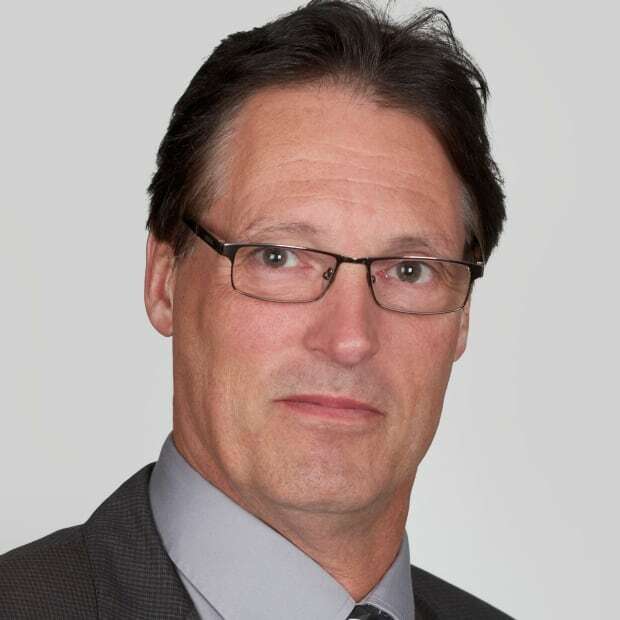 David Pate has been a journalist with CBC News for nearly 30 years. He currently produces Maritime Noon.